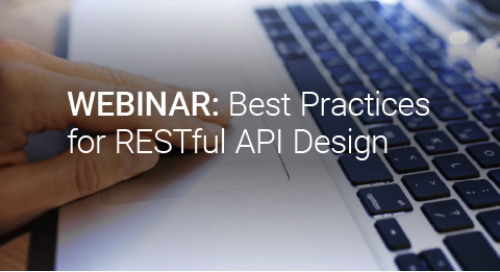 Join us to learn about the best practices when it comes to RESTful API design. 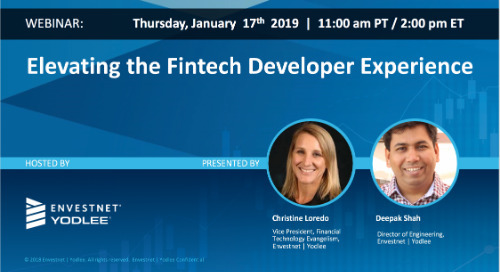 By the end you’ll understand some of the key aspects of API design and how to get the most out out of your API! 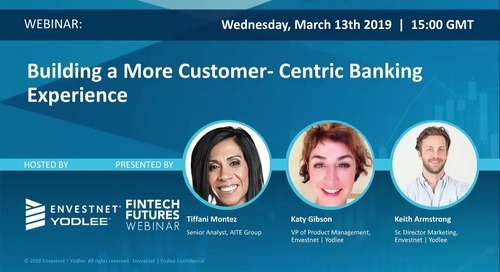 Learn how cutting-edge advisor solutions are breaking down technology barriers and get an in-depth look at the interconnected technologies that are creating new business opportunities. 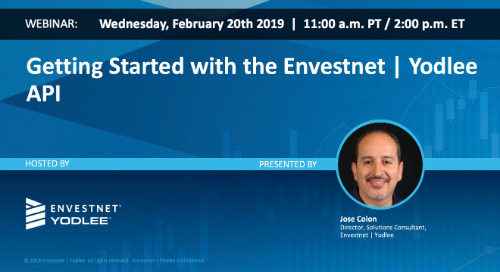 On-Demand Webinar: Getting Started with the Envestnet | Yodlee API- for non-coders! 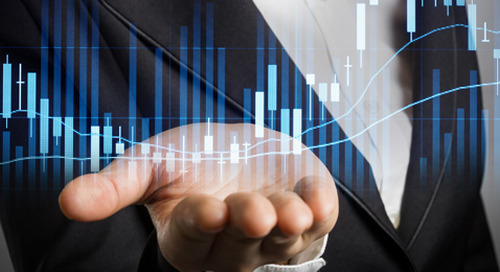 Not a coder? 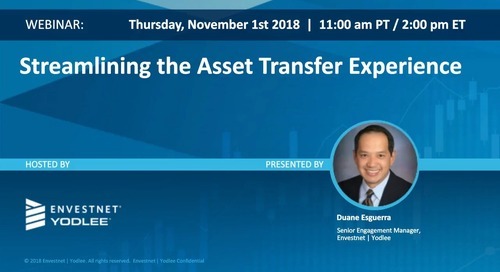 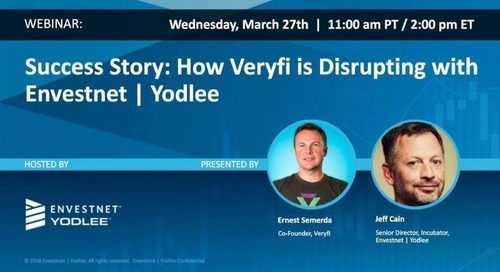 This webinar explains everything you need to know about the Envestnet | Yodlee APIs without all the coder language. 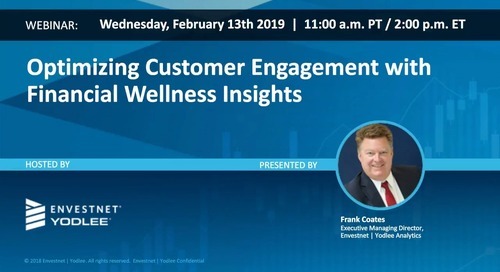 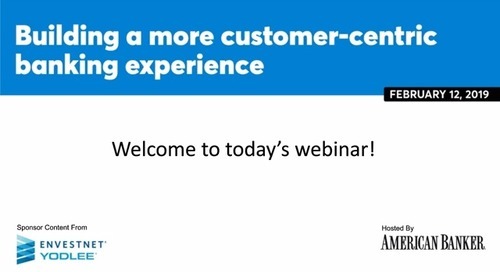 Watch this webinar to learn how, by creating more financially healthy customers, conversational AI can increase customer satisfaction and loyalty and drive growth. 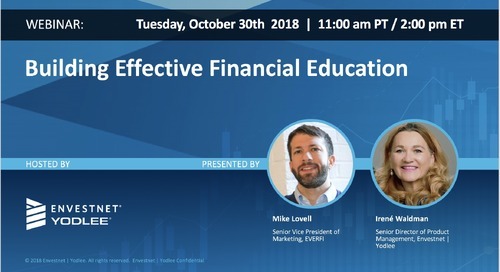 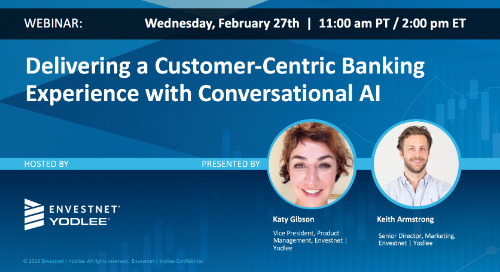 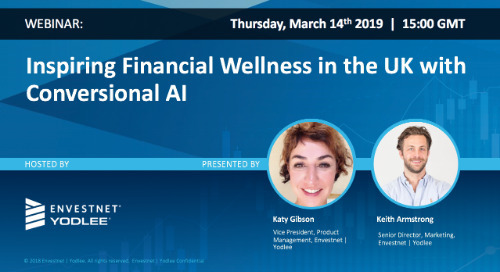 In this webinar hosted by Fintech Futures, we discuss how AI banking chatbots, combined with a best-in-class financial wellness experience, are empowering customers and helping financial institutions. 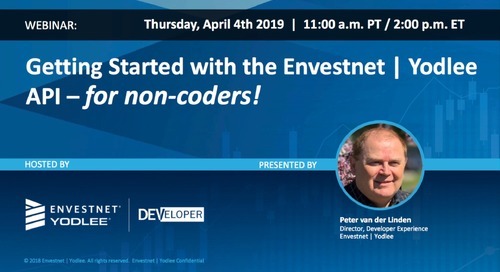 Watch this webinar for a demo of the Envestnet | Yodlee Developer Portal where you’ll learn how to make the most of our sandbox, development, and production environments! 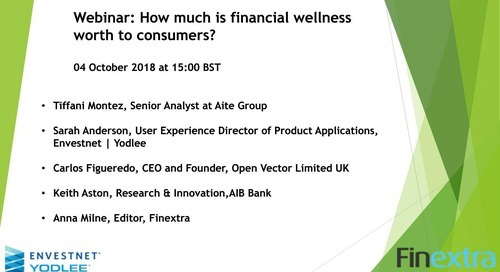 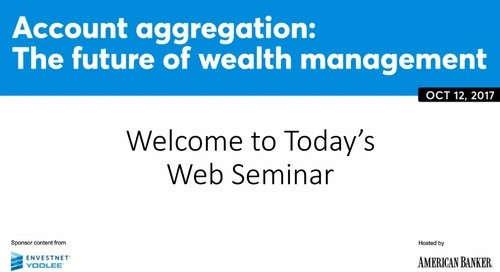 Learn how you can use the data gleaned from financial wellness tools to keep digital banking customers interested and engaged! 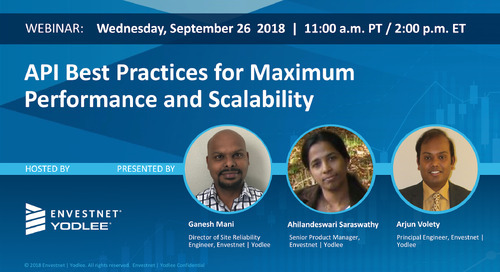 Watch this webinar to learn how you to build, test, launch, and scale your solutions faster than ever! 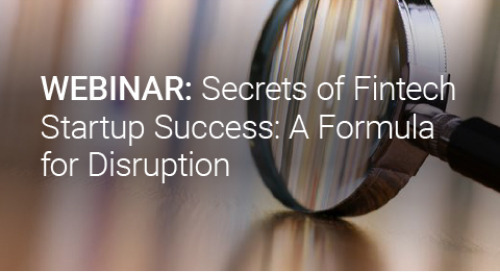 We discussed how PSD2 is revolutionizing the financial services industry in the UK and beyond, and how to position your firm to comply with the regulations while taking advantage of the opportunities. 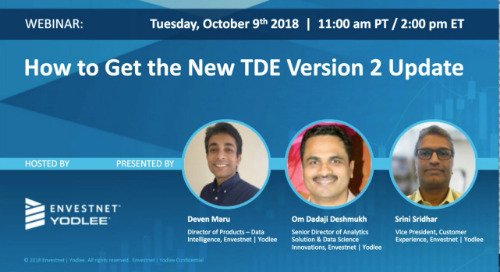 This webinar discusses how we’ve applied advanced technology to TDE to deliver even more meaningful insights for you and your customers. 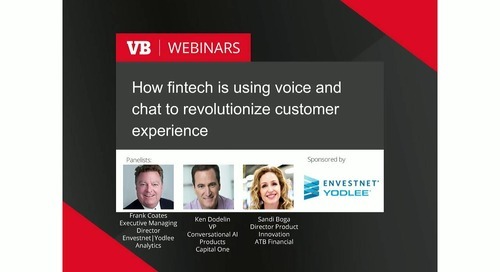 Viewers will learn how voice and chat conversational technologies are creating a more engaging and meaningful experience for customers. 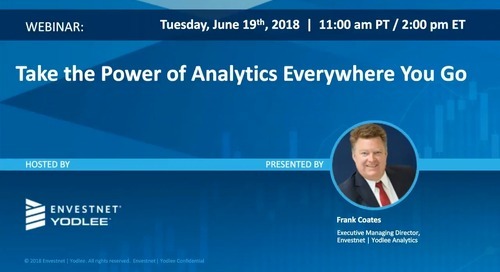 In this on-demand webinar, discover how Envision IQ delivers answers to key business questions across desktop, mobile, and voice-enabled devices. 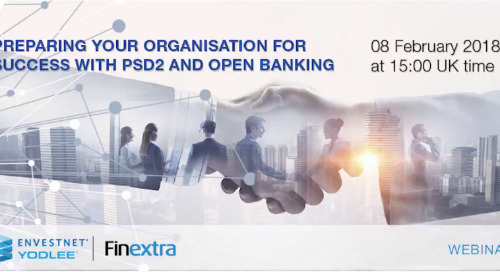 Listen in on this on-demand webinar to gain insights from industry experts on preparing your organization for success with PSD2 and Open Banking.